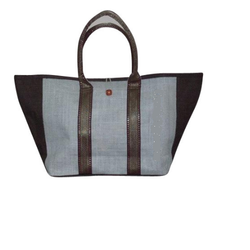 Our product range includes a wide range of fashion jute bag, ladies fashion jute bag and jute designer bag. Featuring flawless handcrafted finish, these Multi Colour Print Fashion Jute Bag choices reflect the high craftsmanship standards delivered by us. Available in lightweight finish which makes these easy to carry, these bags are available in eco-friendly jute finish which makes these highly demanded by one and all. Some of its features include contemporary finish patterns, flawless construction finish, availability in vibrant color choices, available in rich & exclusive alluring designs & patterns, vibrant color options as desired by customers, superior craftsmanship standards displayed in these bags, preferred choice of environmentally conscious and fashion loving ladies. 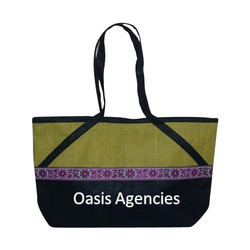 In order to meet specific requirements of the clients, we are offering a quality assured assortment of Special Ladies Fashion Jute Bag. The Special Ladies Fashion Jute Bag we offer is recommended amongst the clients for its availability in various colors and designs. 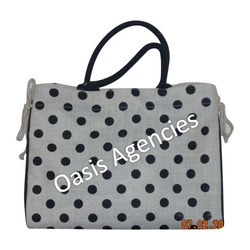 We are one of the leading manufacturer of Fashion Jute Bag. These bags are available in a variety of sizes, shapes and design as per the requirements and needs. We export these bags available in diverse sizes, shapes and design as per the emerging requirement of our clients. Our clients appreciate these bags for its contemporary stitching, attractive look and resilience. Multicolor Printing can be done as per the buyers' requirement/specification like Logo etc. Available in an array of choices, these Smart Design Fashion Jute Bag choices bear on them mesmerized designed finish. As a preferred choice of one and all especially people who are environmentally conscious, these totally recyclable bags are made from quality jute fibers which also makes them long lasting in use. Further, the enchanting finish designs also add to its popularity in the market. Some of its features include interesting & stylish color combinations, designer finish, availability in different sizes, aesthetically woven finish and meeting appealing and pocket friendly product demands.